What better way to kick off your second term as president than in the presence of royalty? 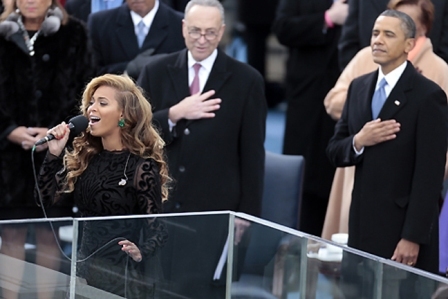 In 2008, Obama had the “Queen of Soul”, Aretha Franklin sing the national anthem and in 2013, he extended that honor to Queen Bey--Beyonce Knowles-Carter. 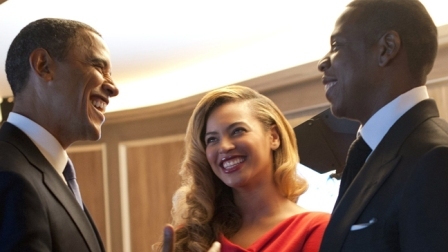 She and her husband, rap legend Jay Z were active fundraisers throughout Obama’s campaign and the first family of hip-hop remained close with the nation’s first family as Beyonce participated in Michelle Obama’s “Let’s Move” healthy living campaign. 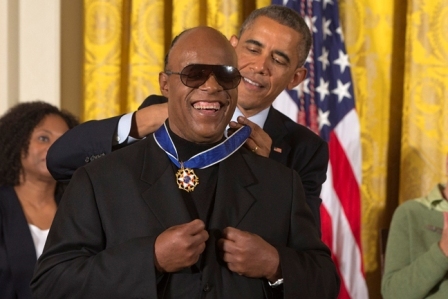 Throughout his presidency, Obama awarded the coveted Presidential Medal Of Freedom, the highest civilian honor, to numerous singers, actors and athletes. 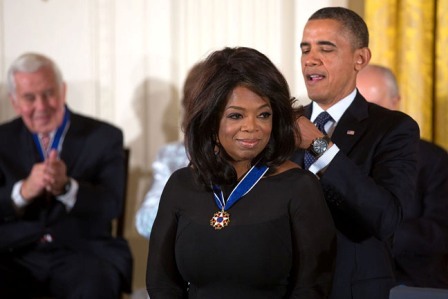 The recipients have not only left an indelible mark on black history and pop culture, but Obama recognized that their contributions to the arts have and continues to leave an irrevocable mark on the world. 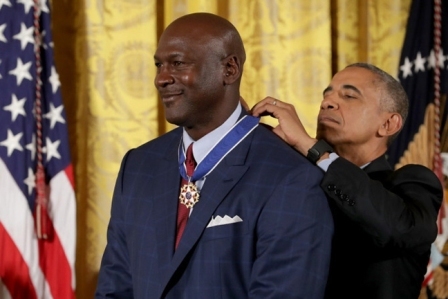 Entertainers that have been commemorated by President Obama include Stevie Wonder, Oprah Winfrey, Michael Jordan, Sidney Poitier, Cicely Tyson, Maya Angelou, Toni Morrison, Diana Ross, Kareem Abdul-Jabbar and more. Sasha and Malia have the coolest dad, #ever. 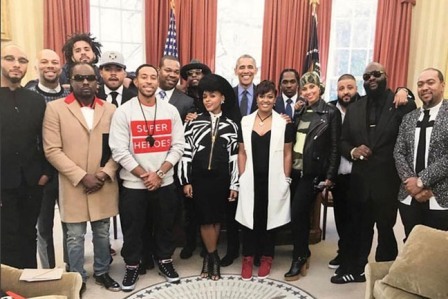 From Beyonce to Busta Rhymes, Obama speaks the language of young and old hip-hop heads. Did George Bush Jr. or Bill Clinton ever release a summer playlist? We think not! 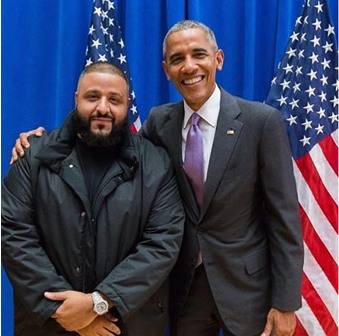 President Obama oozes “swag” for many reasons including the fact that he’s a proud listener of R&B, hip-hop and rap music. 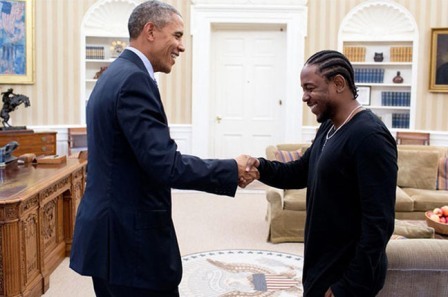 In the midst of discussing Obamacare and foreign policy the President also found time to end a rap beef when he declared Kendrick Lamar as his favorite rapper over Drake. 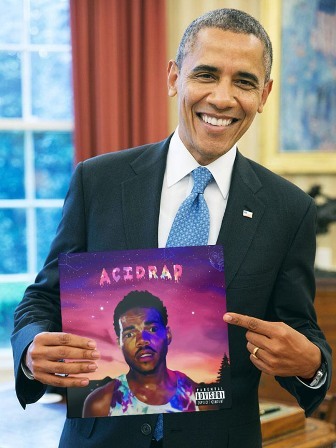 Over the past eight years, Obama has been able to effortlessly to bridge the generational gap and connect with millenials through his love of music.